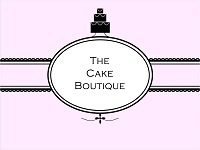 The company Cake Boutique Celebration is one of the best cake providers in Bermuda. The owner of the company is Kayo and she is a graduate of New England Culinary Institute, Vermont in Food and Beverage Management. The Cake Boutique Celebration helps the cake fantasy come true for any occasion, big or small. Contact Cake Boutique Celebration to get a cake with unique style and taste for any kind of party, program and occasion. The collection of leather goods for men and women, ultimate designer shoes, hand bags and accessory is waiting for you at Lusso. The sophisticated atmosphere and attentive service will provide you with an exhilarating experience. The main features at this Bermuda boutique are the celeb sightings and Euro, hot spot, uptown style. You may find belts, ties, cufflinks, shoes, beach chic items, women's and men's clothing, gifts & novelties. Get designs by Europe's leading designers including Fendi, Ferragamo, Prada, Miu Miu and Jimmy Choo. Looking to shop for something special? If you want to shop for some special clothes, you should go to Reid street 27th century boutique. You can get a lot of stuff there. It is a store where both men and women can find clothes for themselves. Store timings are, Sunday: Closed Mon - Sat : 9:00am - 5:00pm You can get different kinds of stuff there. 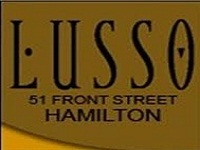 27th Century Boutique is one of the best boutiques in Hamilton. Kerry's Place is a Luxury Pet Boutique and Spa. This store is clearly for those parents who feel their fur baby is more than just a pet. It's the first pet store/ boutique in Bermuda. The Store is specialized in custom and designer harnesses giving an option to buy upscale couture fashion for your furry friends. The store is one of a kind, it's a very unique boutique. 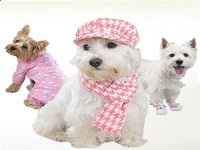 You'll find designer stuff for your pets here. So come and pamper your special friend too. Want to find some good sports wear? Just go to Upstairs Golf And Tennis Shop in Hamilton. This shop has a good collection of sportswear from different brands. Both men and women sportswear is sold here. This store always welcomes golfers and tennis players. You can find your desired brand in here. The accessories for these sports are the specialties of this BM boutique. If you want to play golf or tennis, you can find everything you need in this one store. 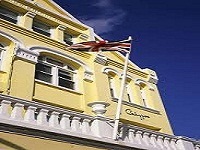 Calypso is a boutique store located in heart of Hamilton, Bermuda. This store has a large collection of ladies clothing and accessories. Swimwear is the specialty of this store. Calypso store is renowned for its unique shoe department. It is a good place for you if you want to spend your money on good items. Their European and Italian collection is stylish and fashionable. Go to Windsor Place at the old Pulp and Circumstance location, Queen Street, Hamilton. 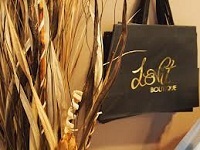 Lovit Boutique is a place where you will surely get clothing and other items of your choice. Store timings are 10:00 am to 6:00 pm except Sunday when the store is closed. The objective of this store is to offer women what they would love to possess. You will find many different brands here. For women this store has a huge collection. Go and get your desired clothing items that you will love to wear at this Bermuda boutique..
Find some of the most famous sunglass brands at Bling Sunglasses Boutique at 4 Point Pleasant Road, in Hamilton Bermuda. This store features celeb sightings, designer deals, good service, it is a hot spot, and they hold international labels. Donna Karan, Prada, Vogue, DKNY, Ray-Ban, Fendi, Gucci and Ralph Lauren are some of the famous sunglass brands available here at retail prices. 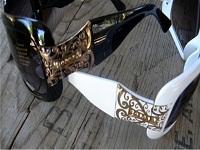 You may have a great shopping experience at Bling Sunglasses Boutique. Branded Wear For Your Kiddo! This store is a one stop place to shop for your kids. This Bermuda boutique is making your parenting easier. You may find clothing, shoes and accessories for your child. Meet your baby's every day needs here. Store timings are: 9:00 am to 6:00 pm Monday-Friday, 10:00 am to 6:00 pm on Saturday. The store is closed on Sunday. This store offers a fabulous opportunity for a unique, fashionable memory during your visit. Some of the best quality of sportswear is waiting for you at The English Sports Shop. This Bermuda boutique has branches throughout the island. 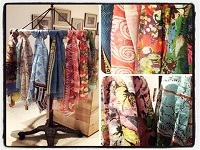 Here it is, Hera boutique in Bermuda. It is the newest boutique in Bermuda. 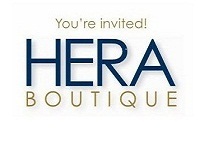 Hera boutique's clothing appeals to all those women who prefer the classics. Store Hours are Tues- Sat 10am - 5pm, Sunday 1pm - 5pm. It is a great place to enjoy shopping. They deal in different types of items. Go here and find the luxurious clothing items, accessories, and souvenirs that you want for yourself and others. The Astwood Dickinson has a great reputation as the finest jewelry store in Bermuda since 1904. 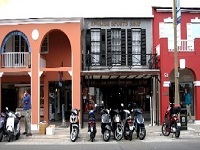 It is also the perfect place to find outstanding jewelry in Bermuda. It provides Omega, Tag Heuer, Gucci, Baume et Mercier, Tissot and a wide variety of diamonds, treasure coins, gold, precious and semi-precious jewelry at a reasonable price compared to other companies. 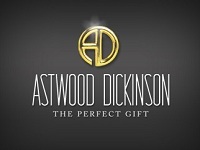 So make a visit at the Astwood Dickinson and see how many amazing products are waiting for you. The Duchess Boutique is a company which has an outstanding contribution in Bermuda's fashion sector. It offers affordable fashion for both young and mature women, providing unique styles to suit a variety of needs. 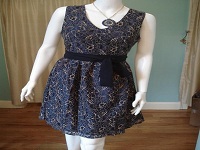 The main goal of Duchess Boutique is to provide quality clothing at great prices and fashions. It also changes their products regarding fashion style throughout the year so that they always have something new in their boutique to satisfy all of the customers' fashion needs. The fashion house, Atelerie is one of the best shops for women’s clothing, accessories, gift items and small leather goods. Resembling some of the trendy, cool stores usually found in New York or London, Atelerie definitely is in the running for winning Bermuda’s best local boutique. The owner of the Atelerie, Heather Macdonald, was inspired to bring some of the French boutique charm back to Bermuda after living in St. Barths. The Atelerie offers many products of some stand out brands like Helmut Lang, Diane von Furtsenberg, Loeffler Randall, Hanky Panky and some others. The Hornburg Calypso Ltd is a famous fashion boutique store which is internationally recognized. 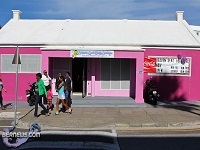 It is a multi-brand ladies ready-to-wear fashion boutique with the leading swimsuit shop in Bermuda. The Hornburg Calypso Ltd was established in 1948 by Mrs. Polly Trott Hornburg. This large boutique store has a great and unique collection of ladies clothing and accessories sourced from Paris, Milan, London and New York. It has also the largest selection of swimwear on the island.